Kofi Boakye, 19, of Akron, has been fundraising to begin studying at Berklee in Boston this fall. At 15 years old, Kofi Boakye was the youngest black pianist to be enrolled at the University of Akron School of Music's jazz program. Now, at 19 years old, he's starting his journey to the Berklee College of Music in Boston this fall. 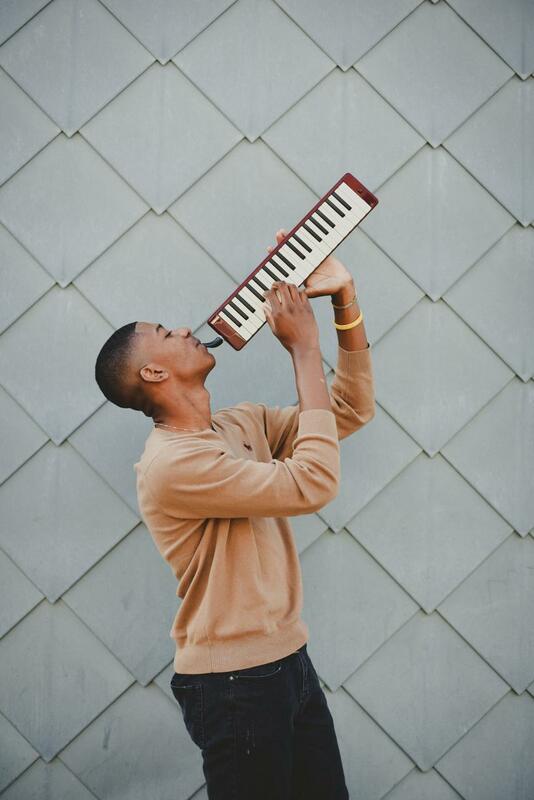 The Akron keyboardist, songwriter and producer will hold a fundraising concert and screening for the film, "Kofi: Made in Akron," to earn the remaining money it will cost to live in Boston while attending classes. To pursue his studies, Kofi Boakye plans to raise additional funds through community support. He received a scholarship to Berklee and opened a tax-exempt savings account for donations with the help of ArtsNow Executive Director Nicole Mullet and Getta Kutuchief, which will help him pay for the move and enrollment in the program. “I’ve heard too many horror stories of musicians going into debt getting a degree in music that was not beneficial to them long term,” Boakye said. He looks at Berklee as the next step for his musical career; he believes it'll help him achieve his goals of becoming an entrepreneur, businessman, investor and a media talent. “If you surround me around the best musicians in the world who play at the highest level and want to be nothing short of excellent, how can you not expect me to succeed and be motivated and do great things in that position?” he said. Boakye plays the melodica, which is a small reed instrument that includes a musical keyboard on top and is played by blowing air through a mouthpiece. Boakye has been playing music since he was 8 years old after his mother received an advertisement in the mail for group piano lessons. If it weren't for his teacher, Tricia Thompson, the young performer would have quit after his first lesson. He felt he would never be as good as the younger students in the group. "But she said 'Wait, don’t leave — I see something in you,'" Boakye recalled. He began to thrive after he made the switch from group lessons to private lessons. “In the weeks that passed, I went from the beginners’ books to the advanced books,” he said. Even though this was a time of happiness for Boakye, it didn't come without struggle. At the same time, he was experiencing difficulties in his family life — something that eventually carved his future path. Boakye said although he excelled as a young student, he was bullied and called names in elementary school. He told his mother that to fit in with his peers, he needed to purposely fail tests and homework. “My mom said, 'We got to get you to Miller South,' Boakye said. After just four months of piano lessons, his music teacher encouraged him to apply to attend Akron’s Miller South School for the Visual and Performing Arts. While attending the school, which educates students in grades four through eight, Boakye had the opportunity to tour Germany and Prague with the Miller South Show Choir. 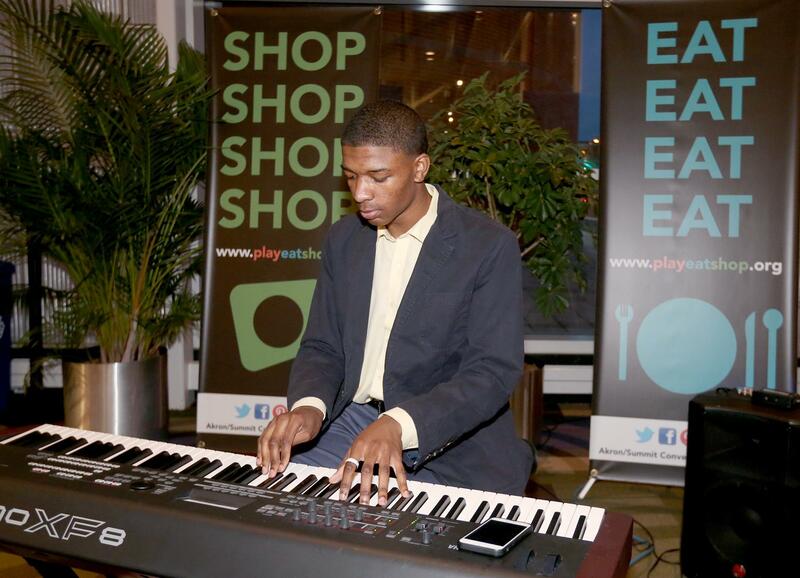 Along with being the youngest black pianist at the University of Akron School of Music’s jazz program, the musician was also the first teenage pianist to headline a show at the Akron Civic Theatre. Boakye currently studies marketing at the university. In 2014, President Obama at the White House awarded Boakye with the President's Education Award for Outstanding Academic Excellence. In 2018, he won the silver medal at the NAACP ACT-SO (Afro-Academic, Cultural, Technological and Scientific Olympics) National Competition. He debuted his first EP, “Made in Akron,” at the 2016 concert. In addition to playing piano and keyboard, Boakye also plays the melodica, which is a small reed instrument that includes a musical keyboard on top and is played by blowing air through a mouthpiece. “Kofi: Made in Akron” was produced by Pritt Entertainment Group, the agency noted for its award-winning “#WhyNotAkron” promotional video. Boakye produced the soundtrack for the group’s 2017 video and is featured performing his original material on piano in the clip. The musician’s film premiere will be hosted at The Tangier Restaurant & Cabaret, located at 532 W. Market St. in Akron, Thursday, Jan. 31. Mullet and Kutuchief will host a Q&A session with Boakye after the screening, and the musician will perform with two other players as a trio during the event. Tickets to the screening and performance, as well as ways to donate to the artist’s Berklee College of Music fund, are available at EventBrite. The performer said LeBron James and Maverick Carter serve as inspiration for him to write his own story and push himself to achieve his goals. “You can overcome anything, regardless of the odds that are stacked against you,” Boakye said. A new book coming out next week takes a look at the role Kent played in music history. “Small Town, Big Music” tells the story of the nationally known bands who performed at Kent State as well as the bands that made up the local music scene.